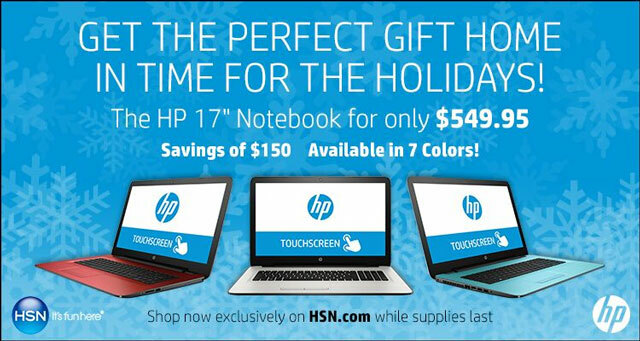 If you know someone who would love to have a new laptop for the holidays, HSN is offering a terrific deal on December 18th. For one day only, HSN will have the HP 17-inch Touchscreen on sale for only $549.95, including free shipping - that's $150 off the regular price. The HP 17 offers a huge 17" HD touchscreen display and a full-size keyboard with a numeric keypad, that makes it perfect as a desktop alternative for daily work. Yet, at under 6 lbs., it's easy to carry from room to room or on the road. It also comes with a 1 TB hard drive, giving you plenty of room for storing your photos, videos and music, a quad-core Pentium processor and 8GB of RAM. And there are plenty of extras, such as a DVD reader/burner, multi-format digital media card reader and 3 USB ports, including on SuperSpeed 3.0 USB. 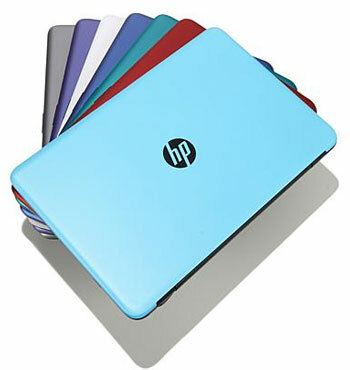 The HP 17 comes in 7 fun colors – red, white, blue, silver, purple, teal and HSN’s exclusive color: powder blue. HP did a nice job with the design by continuing the case color on the inside around the keyboard, and the ridged top is both fashionable and functional, by providing a non-slip grip. This is one laptop you won't mind being seen in your home. The large display is always welcome whether you're watching movies, browsing the web or crunching spreadsheets. And when you're focused on getting work done, the keyboard offers well-spaced keys with great tactile feel. In short, this laptop is an excellent choice as a gift to a child for schoolwork or for anyone who needs a daily use laptop, without spending a bundle. This laptop deal will be available for pre-order starting December 14th and ends on December 18th. And if you're looking to manage your holiday spending, between 12/12 and 12/31 HSN is offering up to 6 Flex payments on all HP computers - get it home for under $100 and break out the rest into several payments. It’s like layaway, but better because they ship you the product right away. HSN even offers 24/7 US-based Lifetime Tech Support with your laptop purchase. 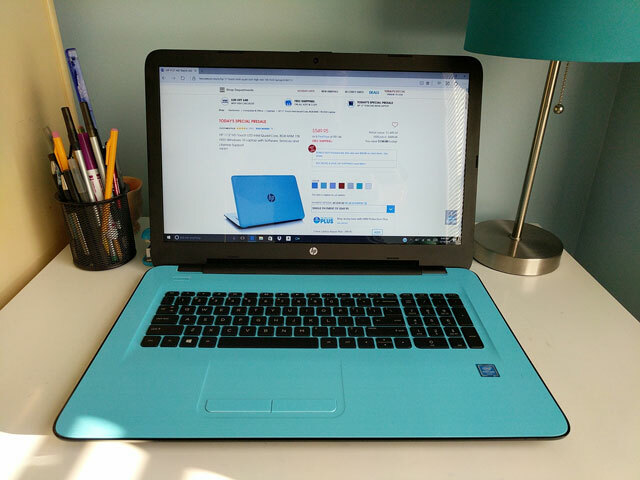 Checkout the exclusive HP 17 laptop deal from HSN and get your loved one a holiday gift they'll thank you for all year long.